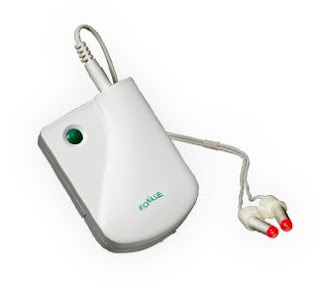 This is the BioNase phototherapy device. at a narrow band wavelength to relieve symptoms. level is the best level for treatment. Does BioNase have side effects? it uses a natural healing resource -- which is light. Is BioNase easy to use? your nose for 4.5 minutes three times a day. Net or talking with your family members. SyroLight, part of The Syro Group. This company is a leading manufacturer of phototherapeutic medical devices that applies the healing power of low-level narrow ban (LLNB) red light. Syro Group, launched in 1985, holds the original patents to the LED technology used in phototherapy devices. Is BioNase approved by medical standardization institutes? Yes. BioNase is certified for ISO 9001 and ISO 13485, with the certification number 499/499CE and compliant with the European Union Medical Devices Directive 93/42/EEC.